Chief Judicial Magistrate of Bhopal issued summons to The Dow Chemical Company (TDCC) on Friday (January 13) as part of the proceedings against Dow Chemical to make Union Carbide Corporation, US, its wholly-owned subsidiary, appear in the ongoing criminal case on the disaster of 1984 which killed over 25,000 people. According to Rachna Dhingra of Bhopal Group for Information and Action, whose application led to the order, previous summons sent through the US Department of Justice did not work on the petitioner’s favour as Dhingra alleged that the US Department of Justice did not cooperate with its Indian counterparts. “We are satisfied that summons to Dow Chemical were sent by the Chief Judicial Magistrate of Bhopal in the Bhopal Gas leak case of 1984 which killed over 25,000 people. These summons would directly go the Dow Chemical instead of the earlier route of reaching out to the accused through the US Department of Justice,” Dhingra told Down To Earth. As per today’s order, the notice will be sent by the Bhopal Court to Amy Wilson, corporate secretary of Dow Chemical Company. The Dow Chemical Company is expected to appear before the Chief Judicial Magistrate’s Court on February 13, 2017. 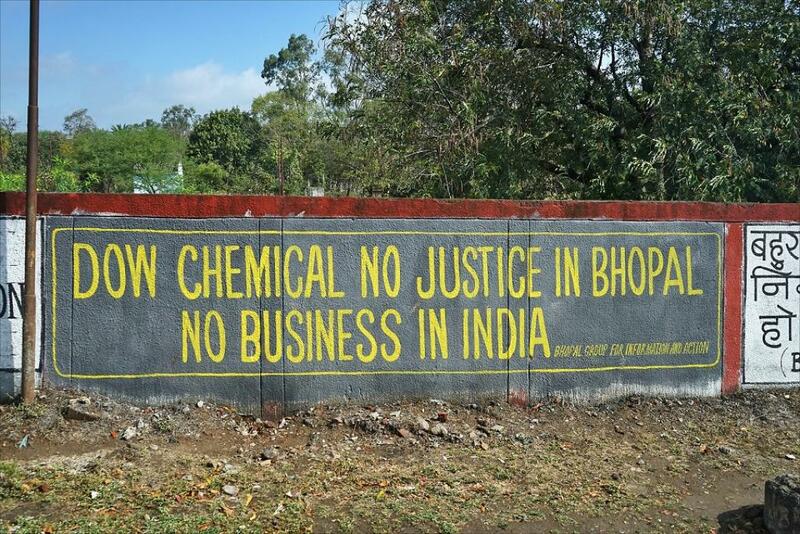 After repeated attempts to summon the company through the US Justice Department with notices sent by court as well as Ministry of Home Affairs, on May 15, 2015, the International Campaign for Justice in Bhopal launched a WhiteHouse.gov petition demanding the Justice Department to stop standing in the way of justice. According to the petitioner, the White House said that asking the US Department of Justice to serve notice on Dow Chemical would be exercising “undue influence”. The petition received over 6,000 signatures in just four days. Leaders of five organisations of survivors of the Union Carbide disaster, which includes Bhopal Gas Peedit Mahila Stationery Karmchari Sangh, Bhopal Gas Peedit Mahila Purush Sangharsh Morcha, Bhopal Gas Peedit Nirashrit Pensionbhogi Sangharsh Morcha, Bhopal Group for Information and Action and Children Against Dow-Carbide in Bhopal today welcomed the decision of the Chief Judicial Magistrate to summon the company through email. The organisations expressed hope that today’s order will clear the path for Union Carbide’s appearance, trial and conviction for causing the world’s worst industrial disaster.